That File adds interaction for the Homework book with WickedWhims. 1. Take HW book from a teenager’s inventory or open console (Ctrl+Shift+C), enter the code bb.showhiddenobjects and search for Homework. 2. For "desk" animations you'll need: desk with chair (nothing special). Put HW right in the center of the desk towards the chair. This position is acceptable for all animations for the desk. 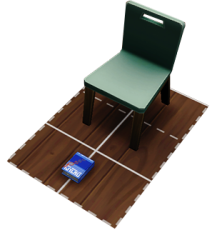 If you want to use animation only with the chair, here is the location of the book depending on the chair. 4. Click on the book and trigger the Wickedwhims. 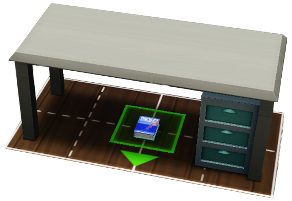 You can leave the book there, it will not disturb, it doesn’t disappear, and you can carry it with your sim and move the book without "build mode".